On the shelves of the vegetable market in Guangzhou, the richest city of South China, people can now find Sweeki, a new brand of Italian kiwifruit, thanks to the Origin Group, a consortium of nine Italian fruit players (Afe, Apofruit, Frutta C2, Gran Frutta Zani, Kiwi Uno, Op Kiwi Sole, Pempa-Corer, Salvi-Unacoa, Spreafico), that planned a promotion event in collaboration with the local ICE office and the city's Italian Consulate. The official ribbon cutting ceremony was held on January the 6th at the presence of the general manager of the Guangzhou market and the general manager of Guangzhou Ice, Paolo Quattrocchi. Alessio Orlandi, Origin Group general manager, said: "Sweeki is a new brand of Italian kiwifruit. Our country is world renowned not only for sport cars, fashion or football but also for food. Fruit quality is one of the pillars of made in Italy in the world, as well as wine, extra virgin olive oil, Parmigiano Reggiano, Parma ham, Balsamic vinegar of Modena”. 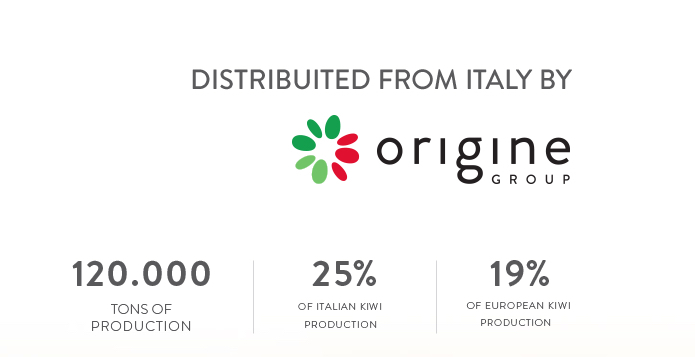 "In Italy Origin Group runs the 25% of total production (500 thousand tons) of kiwifruit", Orlandi added. Italy is the second worldwide producer of kiwifruit after China.